The company is widely acknowledged as one of the dependable Magnetic Stripe Card Readers Manufacturers, Exporters and Suppliers. We offer portable Magnetic Stripe Card Readers that are used for reading the information or data encoded on a band of magnetic material provided on the card. Our card readers are also known as magstripe reader and extensively used for credit cards, debit cards, identity cards, transportation tickets, etc. These card readers are durable, water-proof, lightweight and portable owing to which these are exceedingly in demand. 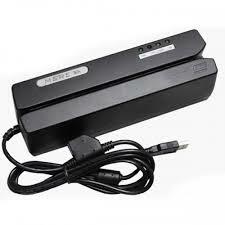 Avail from us, these card readers in different sizes & shapes as well as at affordable rates. Insertion readers require that the badge be inserted and then pulled out and swipe readers require that the badge pass completely through them.